Greetings, Champions, and welcome to Week 4 of the Summer Reading Event, Fairy Tale week! 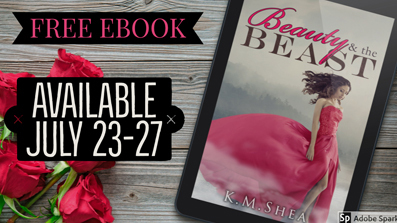 We have some excellent fairy tale-ish books, great giveaways and as a bonus my book, Beauty and the Beast, is free! Ebook copies Timeless Fairy Tales boxset (by me) which contains books 1-3 in the series. That’s it for today, Champions! I’ll see you tomorrow as it is the official release day for Royal Magic! Until then, have a lovely day!